Senior executives from the worlds’ largest ports will assess the impact of China’s Belt and Road initiative alongside shipowners including COSCO, Maersk and Carnival as well as Chinese and international corporations such as Huawei, Alibaba and Amazon. Senior executives from the worlds’ largest ports will assess the impact of China’s Belt & Road Initiative (BRI) alongside shipowners including COSCO, Maersk and Carnival as well as Chinese and international corporations such as Huawei, Alibaba and Amazon. 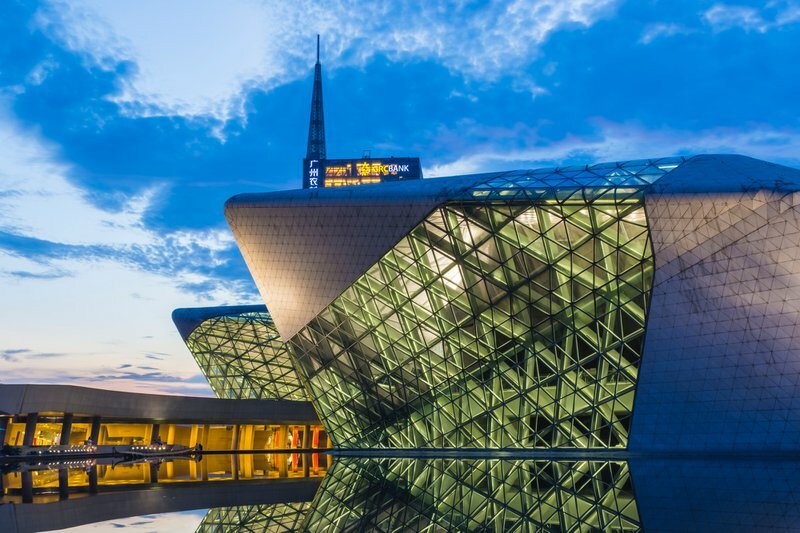 The program being prepared for the IAPH 2019 Guangzhou World Ports Conference in China from 6th to 10th of May will ensure valuable insights for port authorities, port operators and port service providers on the Belt & Road Initiative (BRI) as seen from the Chinese perspective. With BRI originally initiated on a national level by the Chinese government leadership back in 2013, Guangzhou Port Authority has invited senior figures from Beijing and the Guangdong Provence to give delegates a rare glimpse what this has meant for Chinese transportation policy and growth in Chinese ports, as seen in the eyes of its maker. 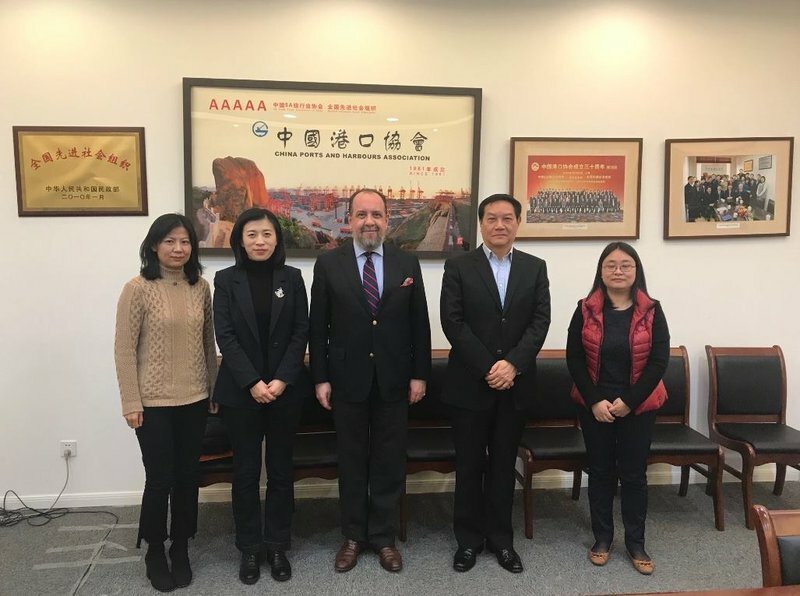 In a recent visit to China in February, Patrick Verhoeven met with Associate IAPH member China Ports and Harbours Association to discuss closer cooperation as well as the upcoming Conference in Guangzhou. He commented: "According to the UNCTAD's 2018 Review of Maritime Transport, Chinese ports – including Guangzhou – occupy seven of the world's top ten container ports in terms of volume. We will not only hear their side of the story, but also from other IAPH member ports who have been recipients of Chinese investment as part of the Belt and Road Initiative and what it has meant for them." BRI is a development strategy adopted by the Chinese government involving infrastructure development and investments in 152 countries and international organisations in Europe, Asia, Middle East, Latin America and Africa. By July 2018 this represented major investments in 42 ports in 34 countries. The most recent visit of President Xi to Italy to sign a memorandum of understanding with the Italian government is a milestone. Italy became the first Group of Seven (G7) nation and the largest EU member to accept BRI funds. At the summit, Chinese investors signed twenty-nine separate deals amounting to $2.8 billion worth of projects with notable agreements to invest in port infrastructure in Trieste, Genoa, and Palermo. "With the successful conclusion to the recent workshop involving over thirty ports hosted by UNCTAD last week in Geneva, we will be presenting a path forward for all IAPH member ports to apply the 17 UN Sustainable Development Goals in practice as part of their corporate governance" comments IAPH Managing Director, Dr. Patrick Verhoeven. "At a special plenary session of the IAPH Guangzhou 2019 World Ports Conference our members will communicate the workshop findings, in order to verify that the roadmap we are planning meets our members' expectations" he added. "We first established a baseline of exactly what levels of experience the participants had with applying the 17 UN SDGs in practice. We then also conducted an exercise to establish which concrete actions could realistically be achieved by a majority of ports, depending on size and level of progress on sustainability issues. With that in mind, we then asked the ports to prioritise what relevant activities we had already come across in the last year since we started the Program, highlighting one to the Workgroup that really stood out in terms of impact. We will now create a framework with these outputs at the IAPH 2019 World Ports Guangzhou Conference and propose a roadmap to create a standardised approach towards applying UN SDGs at an industry level." Other topics under the spotlight will include the challenges of new and disruptive technologies to ports and people; the leading role of the Chinese internet economy in the world; new modes of cross-border trade and legal implications for e-commerce; China and the world's emerging cruise markets; and reducing energy consumption and emissions in ports.